Most of my regulars already know this about me, but thanx to the A to Z Challenge, in which I am participating this month (click on the big F over there to find out more on that subject) there are, or at least theoretically should be, lots and lots of newcomers to All Things Kevyn. It is for these newcomers that I write this post. My regular readers will just have to skip this one, or sit back and find out things they probably already know. But ya love hangin' out here, so it shouldn't be that bad. 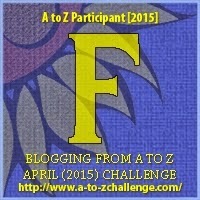 Anyhoo, with this being F-Day of the A to Z Challenge, we are going to talk about Forgotten TV. This is both a thing and a book. 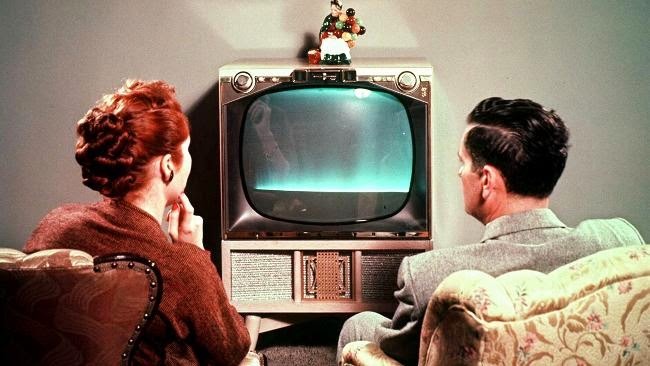 As a thing, Forgotten TV is that realm of television that has been (duh!) forgotten. At least forgotten by the average viewer. These are either shows that were once big, but have since faded from common knowledge (The Goldbergs, Sky King, Dobie Gillis) or shows that just never got out of the gate, be they quality (Bridget Loves Bernie, The New People, Quark) or "less than" (It's About Time, Hello Larry, Woops!). Some of these shows are somewhat remembered, or at least their names have been remembered, mainly because of how bad they were (My Mother the Car, Manimal) and some are just totally forgotten (Duck Factory, Ugliest Girl in Town). Some have been unjustly maligned (Cop Rock, Square Pegs) and others justly maligned (Cavemen, Heil Honey I'm Home). And even though all these shows are not forgotten by everyone (what could be), these are the shows that have fallen, rightly or wrongly, into obscurity. But Forgotten TV is more than just a thing. It is also a book. My book. Or at least will be someday soon. Those whom know me, probably already know that I am currently at work on a book. For those who don't know me as well, here's the scoop. The book is to be called, "Forgotten TV: 101 TV Shows, You've Probably Never Heard Of." Yeah, the tentative title ends in a preposition, but any other way makes it sound too snooty, so there ya have it. Anyway, the book is a look at 101 different shows, ranging from 1947 to just a few years ago, that are pretty much forgotten by the general populace...if they were ever even remembered (and/or watched) in the first place. The book will include most of the shows mentioned in the last paragraph, as well as many many more. Anyone remember the animated shows, Gilligan's Planet, Partridge Family 2200 AD, or Fonzie & the Happy Days Gang? Anyone? What about the early 80's wild west sitcom, Best of the West? Fox Television's Herman's Head, where the four parts of Herman's personality did battle in his mind? There are lots more where those came from. Queen For A Day; The Hathaways; Land of the Giants; Blansky's Beauties; Tales of the Gold Monkey; 1st & Ten; Parker Lewis Can't Lose; The Chevy Chase Show; 2 Guys, A Girl, & A Pizza Place; That 80's Show; Pushing Daisies. Ya know, just to name a few. Right now, I foresee enough shows for at least 3 or 4 volumes...at least...but let's just see if the first one gets published before we go into all that. I hope to have the book finished and (hopefully) publish-worthy sometime this coming Summer, and hopefully in bookstores (and online venues) by X-Mas time. Now I should probably get back to said book. That's it gang. See ya 'round the web.